A proposed development in East Nashville's Cleveland Park area has neighbors concerned about the long-term impacts of possible short-term rentals. 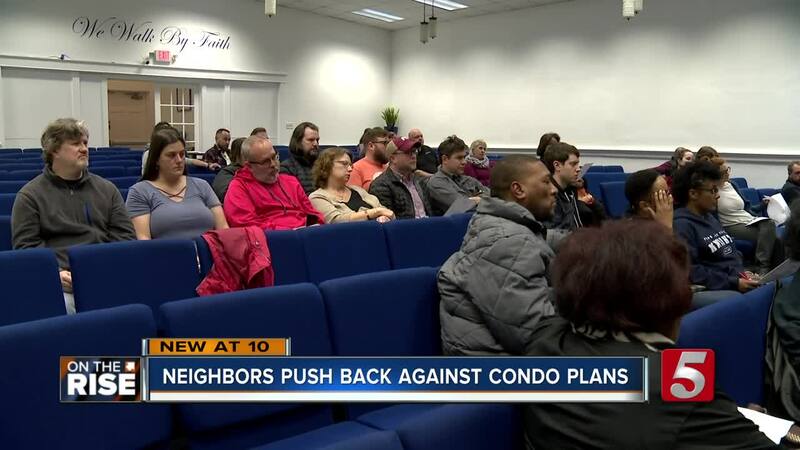 NASHVILLE, Tenn. (WTVF) — A proposed development in East Nashville's Cleveland Park area has neighbors concerned about the long-term impacts of possible short-term rentals. The project is centered around six empty lots near Cleveland and 6th street. A developer bought the lots, that are currently zoned for single-family homes, with hopes of building a mixed use area that would include condos and some commercial space. In a Facebook post shortly after the sale, the developer's realtor posted about the project saying it would feature "highly sought after short-term rentals." That post is what left people living near by concerned. "We just want neighbors, we don't want visitors and guests all the time that aren't going to give anything back to our community, they aren't going to make it better" Mary Rakes, who lives near the proposed development said. "They're not going to come to our neighborhood meetings." And on Thursday, the neighborhood put on one of those meetings to talk about the condo project and their concerns. Also at that meeting, the developer, who also lives in the neighborhood. Sean Roberge said he is hoping to re-zone the lots to allow for mixed-use and for short-term rentals, but isn't aiming to build a building that is exclusively for rentals like Airbnb. "We don't want to give up that short-term rental, we think its important for the future owners to decide for themselves," Roberge said before the meeting got started. The zoning change is expected to go before the Metro Planning Commission at their Feb. 14 meeting.